When would you like to stay at The Marmara Taksim - Check Availability & Room Rates!!! 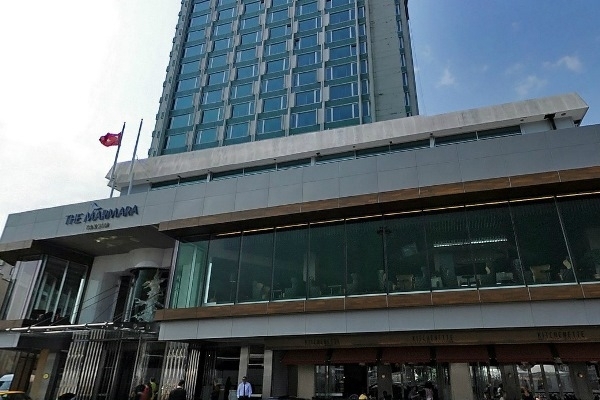 The Marmara Taksim has 376 rooms, all with Bosphorus or Istanbul city views. The Marmara Taksim Hotel offers features such as complimentary tea-coffee, a minibar, working desk, safety deposit box, cable TV, Wi-Fi, a bathrobe and hair dryer. Guests staying in the Marmara Club rooms and suites can enjoy access to The Marmara Taksim’s The Marmara Club Lounge, from food and drink to special welcoming and room service. How far and How long will it take from/to the The Marmara Taksim Istanbul from/to International Airports and cruise Ports. Sultanahmet Transfer How to get from cruise ports to the city? How to meet at Sabiha Airport Ataturk Airport-Lost and Found Ataturk Airport Transportation What time should I leave my hotel to catch a flight in Ataturk airport? How to get from Ataturk airport to the city? Sabiha Gokcen Airport-Lost and Found What time should I leave my hotel to catch a flight in Sabiha airport? Is there any additional charge for my airport transfer service?